Large flock of mainly pure bred Gotland sheep in various shades of grey and some white ‘mule’ X Gotland sheep. Specializing in fine wool for hand spinners, weavers and felt makers. Raw lambs fleece available in September, the best ewe in February. Large carded wool batts produced on the farm to order. Wool carding service available enquires welcome. Hand felted ‘sheepskins’ and tanned sheepskin pelts. 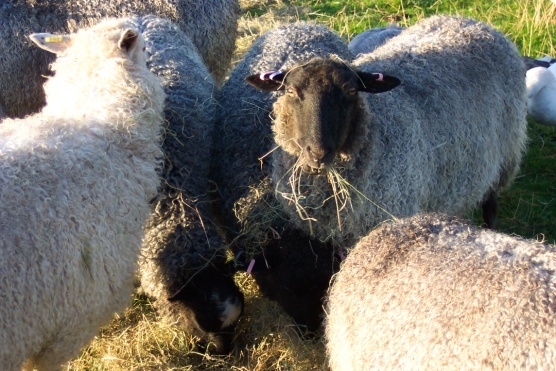 Workshops/advice on all aspects of sheep husbandry and wool processing/felt making. Registered live stock available/ farm visits by appointment.